In 2017 46 young people under the age of 25 were fatally stabbed in London, while admissions to hospital due to knife assault wounds increased by 21 per cent. As a result, fear and the impact of trauma spreads among whole communities and is a huge financial burden on society. Exposure in adolescence leads to a greater likelihood of being further involved either as victim or perpetrator, and is associated with an increased risk of mental health problems. 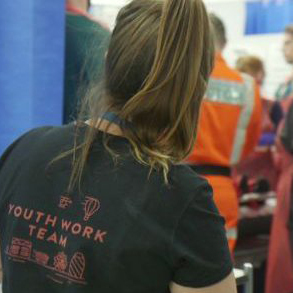 Redthread’s youth violence intervention programme embeds specialist youth workers in the emergency departments of major trauma centres. They meet young victims of violence or exploitation within the “teachable moment” – when they are at their most vulnerable after falling victim to violence – and empower them to pursue positive changes within their lives. A comprehensive risk assessment is completed with each young person, which asks them and their youth worker to rate risk levels across multiple areas of their lives. The scores form the basis of an action plan. In 2017 over 1,000 young people were referred to Redthread services. Over 60 per cent engaged with a Redthread youth worker. One-third were signposted to health and/or mental health services and one quarter were referred. Almost 80 per cent did not reattend hospital for any reason within a year. Of those who did only 12 per cent did so for violence-related injuries. The charity’s model is so compelling that in London the mayor’s office is keen to expand it to all major trauma centres, and the charity is now fundraising to spread it further, across the whole of England. The Teddington Trust provides practical and emotional support and guidance to patients and families affected by the rare condition, xeroderma pigmentosum (XP). To achieve better and more lasting acceptance and inclusion the trust developed a school resource to address these attitudes and teach children at primary school level about the key themes of inclusion and rare disease. 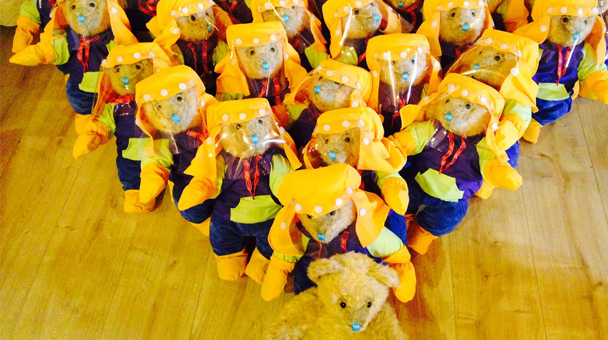 Despite the charity being tiny, with no paid staff, it has managed to distribute over 400 Little Ted patient information packs internationally. The Anna Freud Centre combines research, clinical practice and training to pioneer better mental health care and support for children and their families. Talking Mental Health is designed to address this. It is an animation and teacher toolkit co-developed by children, parents/carers, teachers and clinicians to improve emotional literacy and facilitate everyday conversations about mental health at schools and beyond. The animation and accompanying materials were disseminated via the Centre’s first national campaign. An estimated 500,000 children in England have engaged with the animation and/or resources. One in 20 children are treated in hospital in England each year, which can be very frightening. Theodora Children’s Charity addresses this by sending professional performers into hospitals. The performers, called Giggle Doctors, combine music, play, magic and storytelling, to improve the well-being of children by providing magical moments of fun at often very challenging times. 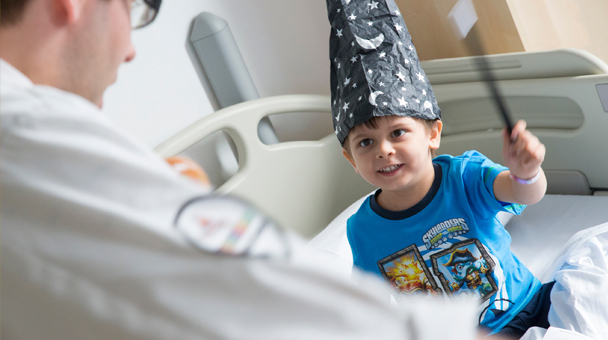 The Giggle Doctor visits help reduce levels of anxiety and create increased opportunities for play in the healthcare environment. The charity’s training is extremely robust, meaning that each Giggle Doctor is well-prepared for the circumstances they encounter.